Read it on Smart Parenting. Egg Hunt! Games! Cenakulo Rock?! 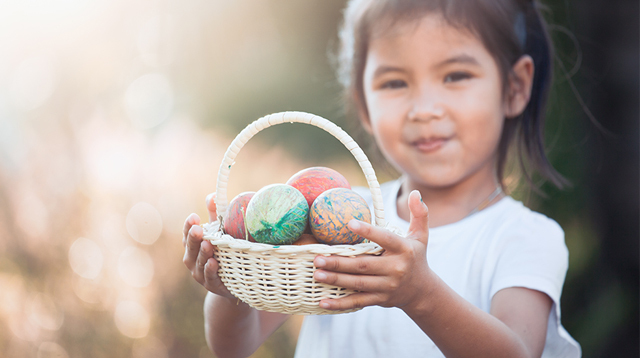 Easter Festivities to Check Out With the Family! Get a chance to be invited to exclusive events or grab limited freebies from Smart Parenting and partner brands! Login to reply to this topic or share your tips in this forum. Invites are sent via email to selected forum members so be an active Parent Chatter! Login or Register via PC or mobile to join this discussion! Hi I'm kinda new here and also looking for suggestions for holy week staycation. It depends on the budget. While researching - I found a discount coupon at Hotel 23K in Makati, 1,999 lang and may pool. Seems ok naman yung reviews, though hindi talaga sya hotel, it's like a condotel but neat naman daw. Medyo nature yung effect. And maybe hindi pa full booking dun ngayon because it's not really popular. From Manila you can pass by Cavitex to avoid the traffic. There are also many nice resorts in Antipolo, but then again, traffic. Thanks sa links. Naghahanap din ako for holy week vacation with Hubby and Baby since it's waterless Holy Week here in Manila.